Home Photos Blue Skies at Beech Mountain on January 2nd! 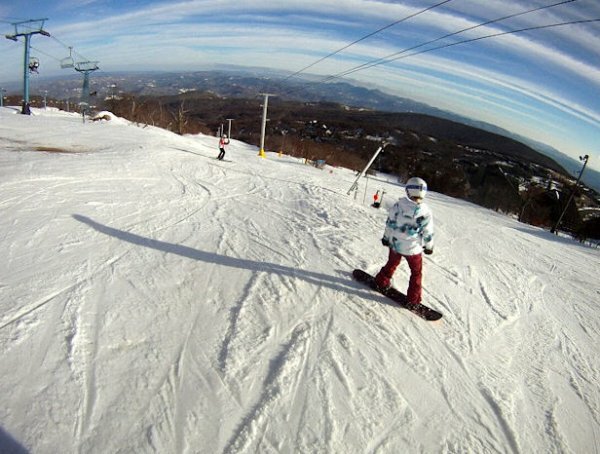 Blue Skies on Sunday, January 2nd make way for cloudy conditions today as snow and precipitation is in the forecast. This great photo was taken on Robbins Run by SkiSoutheast Messageboard Member theKenDog!! Previous Post Clear Skies and Cold Temperatures Make for Great Snowmaking Conditions! Next Post Six out of Seven Days in the Next Week Show SNOW!